On May 24th we were matched with our sweet boy! He is 5 years old and is ready to come home to his forever family and home. His room is ready, his bed is ready and his new stuffed animals are ready for him. Help us bring our boy home to his mommy and daddy and brothers and sisters who want to hug him, play with him and sing him to sleep at night. We were shown a profile today and are praying about it all this week. We are so close to being matched! I just saw all the sweet kind words and all the people that donated! thank you from the bottom of my heart!! Booyah! Don't spend it all in one place... actually you can, just not on scotch and cigars. Love you guys. Love your sweet family and excited for this next chapter of life! You will definitely be blessed because of your obedience to God's calling to adopt! Love you guys! I can't wait to meet my new grandson!!! Congrats and many many blessings!!! Karen and I stand in faith with you both that this will be a quick process for you. Thay and I are so honored to give and get to be apart of what God is doing in your lives. You two are so precious and such an inspiration to us. When I watch the video on fb immediately I started bawling and felt Gods love towards you guys and this beautiful baby boy. Thank you again for the opportunity to sow into this. So excited !!!!!!!! Britt! Your family has always been close to my heart! You are all just amazingly wonderful people and all of your babies are so lucky to have you and your new little one will never have to question the love he will have. Good luck to you, Luke, and the tribe in this journey! Love you! Love y'all. 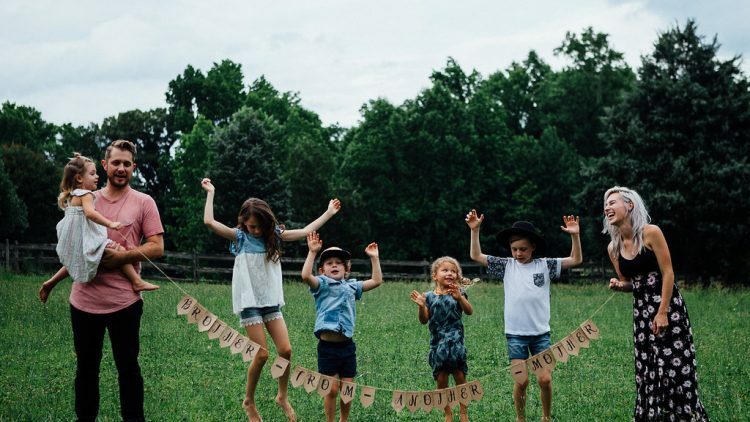 We know your baby is going to be a world changer just like you!! Love you guys! Dream Big! So excited to see this happening! Love you guys! I'm overjoyed to have watched your journey this far, and I can't wait to see what else God has in store for your family. You guys are a force and there is so much love that each of you have to give. It's an honor to give even a portion of the love you have poured into my life back to you!